Legacy Cremation Services is honored to have the opportunity to present you with the burial services that best suit your loved one's personality. When a loved one passes you must make many important decisions in a timely manner. As a leader in the funeral industry, we understand how important it is to supply you with as much support and funeral knowledge as possible. This will allow you to make informed decisions when planning the burial arrangements for your loved one. You will be certain on burial day every detail will follow through as planned and honor your loved one's final wishes. With our dedication and integrity our firm guarantees peace of mind. Each individual has a different idea of what a burial consists of. We would like to provide you with the proper information so you will be able to select the most dignified and suitable burial for your loved one. Listed below are some different options: "Traditional Burial": These arrangements usually include casket and vault selection along with other funeral merchandise selected by the surviving family. Embalming, dressing and preparation of the decedent for a formal viewing / visitation and funeral service located at the funeral home or place of worship where family and friends with gather and join in a life celebration for the decedent. After the memorial gathering, the decedent will follow in procession by hearse and the immediate family in limousine to the cemetery, burial plot, or mausoleum for a graveside service and final disposition. "Immediate Burial": This does not involve a formal viewing / visitation thus, embalming is not required. A simple burial container / casket and vault are usually selected which is very cost effective in comparison to the traditional burial casket selection. Families may opt to have a graveside service at the cemetery or to just have an informal gathering at the immediate family's residence or rented facility. An additional fee would apply if a graveside service is planned. As a general rule, an immediate burial is very economical. A burial gathering allows family and friends to gather and reminisce about loving memories and to pay final tribute to a beloved one. The funeral service signifies a person's life has been lived, not that a death has occurred. It allows the people loved by the decedent to have a final chance to say goodbye. This aids in beginning the healing process. Families often find personalizing the service makes the event all the more comforting to those who attend. 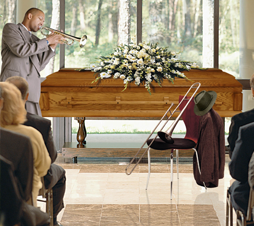 There are several ways to make your loved one's funeral a personal one. 1. Consider a theme. If your loved one dedicated his/her life to an organization, held a special interest, lived out a lifelong dream, or gave a lot to the community having a common theme throughout the service may be a comforting idea. Incorporate photos, personal stories, and memorabilia which revolve around your theme. 2. Share family portraits. Decorate the facility and burial site with photos of loving memories and memorable moments. Photographs are a documentation of one's achievements. This can be taken one step further by adding personal home videos. 3. Incorporate memorabilia. An heirloom passed down from generation to generation, a meaningful award-items that hold sentimental value can conjure up stories and vivid memories, making the burial service all the more personal. 4. Strike up a tune. Selecting a song or tune that has meant so much to your loved one's life is a beautiful and gracious way of saying a lot without words. The lyrics can be chosen to fit your loved one's life or you can simply choose a song or melody your loved one enjoyed. By incorporating some of these ideas into your burial arrangements you can leave a lasting impression that many will cherish. Our professionals are available 24 hours-a-day to better serve you in any way desired. We have created this website to accommodate you. Please take your time and look over our site, use the helpful links provided to make the process of planning as easy as possible on you. Admire our exquisite collection of funeral goods and services available. 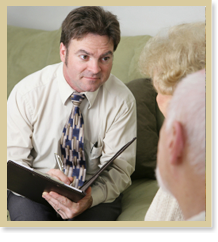 Legacy Cremation Services is committed to the families we serve as well as the community. It is our goal to professionally and personally serve each family as our own; with the utmost dignity and respect. We maintain the highest quality of service at the lowest possible price. If we can assist you or your family in any way while making the arrangements for your loved one's burial service, please don't hesitate to contact us immediately. If you are inquiring for additional information regarding burial services please complete the contact us form and we will serve your request immediately.